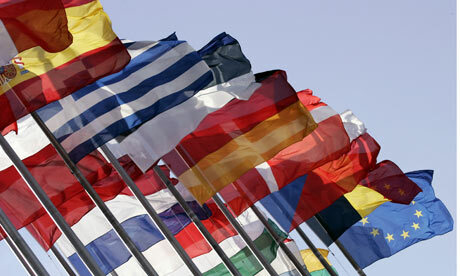 Accession of the EU to the Council of Europe – Will it happen? Part 1. In a previous post we noted the difficulties arising from having two “European Supreme Courts” each authoritatively (and apparently finally) adjudicating on the proper interpretation of the ECHR. The solution to the dilemma of which court to follow in the event of divergence between the CJEU and the ECtHR on fundamental rights issues has been for the EU itself to accede to the Council of Europe and for the CJEU to be placed under the jurisdiction of the ECtHR. In a series of posts EUtopia law looks at some of the hurdles to be overcome if this goal is ultimately to be realised. On 7 September 2011 the Lord Chancellor and Secretary of State for Justice, Kenneth Clarke MP, gave evidence to the House of Commons European Scrutiny Committee (which is chaired by Bill Cash MP) on the topic of EU Accession to the European Convention on Human Rights and the EU Charter of Fundamental Rights. He advised the Scrutiny Committee that an informal working group 14 individuals (7 coming from member States of the EU and 7 coming from non-member States of the EU), chosen on the basis of their expertise had produced a draft agreement dated 19 July 2011 setting out possible terms for the accession of the EU to the ECHR. The Lord Chancellor was at pains to emphasise to the Scrutiny committee that this document had no binding legal status whatsoever, and was simply the first step in starting the complex negotiations involving the European Commission, the Council of Europe Secretariat, the 27 Member States of the European Union, and the further 20 non-EU European states who make up the 47 contracting States of the Council of Europe. Although the ECtHR is thus prevented, by a self-denying ordinance, from examining the procedure of the CJEU directly in the light of the requirements of the ECHR (notably Article 6(1) ECHR), the possibility for an indirect Strasbourg review of the Convention compatibility of the CJEU’s procedures remains if the Strasbourg Court considers that the events complained of in any application engage the responsibility of all or any of the individual Member States which are also all contracting parties to the Council of Europe. This is, perhaps, a less than satisfactory solution, certainly for the Member States who might find themselves saddled with responsibility by the ECtHR for procedures and proceedings before the CJEU over which, as individual States, they have no direct control and little influence, should the Strasbourg Court come to the view that the procedures of the CJEU did not provide ‘equivalent protection’ to that directly guaranteed under the Convention. This exchange captures perhaps much of the popular unease with lawyers’ use of the language of human rights. It is clear from both EU and Strasbourg case law that commercial entities have “human rights” too. Perhaps they shouldn’t – and maybe there is scope for a campaign demanding “Human Rights for Humans only” – but to deprive legal persons of fundamental rights would require treaty amendments to reverse established ECtHR and CJEU case law and instead limit such rights to natural rather than (international) legal persons. There may indeed some political impetus behind such a campaign, if only to forestall any possibility of the realization of what must be the ultimate Eurosceptic nightmare: the EU bringing cases before Strasbourg against EU and non-EU member States complaining that that its “human rights” have been breached by the actions of other States. “5. In its relations with the wider world, the Union shall uphold and promote its values and interests and contribute to the protection of its citizens. It shall contribute to peace, security, the sustainable development of the Earth, solidarity and mutual respect among peoples, free and fair trade, eradication of poverty and the protection of human rights, in particular the rights of the child, as well as to the strict observance and the development of international law, including respect for the principles of the United Nations Charter. In the next post EUtopia law will examine the treaty basis for accession and the treaty amendments required for the EU to accede to the ECHR. This entry was posted in Discussion and Debate, Human Rights and tagged Aidan O'Neill by eutopialaw. Bookmark the permalink.